Religious and social traditions in the region have dictated norms where certain figures such as parents and teachers are treated with respect and high regard and whose views and knowledge should not be questioned. Religious figures sometimes also double as educators and are supposed to be held in high esteem, so their approach to media and information literacy is likely colored by their moralistic and more conservative slant on the topic. Then there is the matter of the different educational systems that exist in the region. There are public, private, and religious schools (that could be either publicly funded or privately subsidized) and learning is acquired mostly in Arabic (the common language in the Arab countries), French (where the French colonized), and English (where the British Empire spread its influence). This has also been complemented by the influence of the American entry into the educational and religious panorama through missionaries establishing their foothold in several countries, as well as teaching in local and/or ethnic languages like Amazigh in North African states, Kurdish in some parts of the Middle East, and Armenian in Lebanon and Syria where an Armenian minority has lived for over a century. All of these elements have become part of the intertwined, integrated and multimedia content, interaction, and audiences/producers in the region. 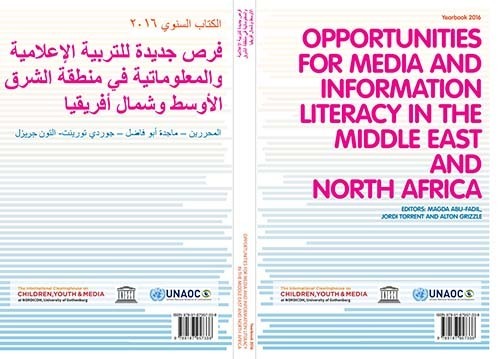 Since media and information literacy as a field of study is relatively new, it continues to be explored and built upon worldwide, and is still taking baby steps in the Middle East and North Africa region. Quite often media literacy and information literacy are used interchangeably. For those with more academic backgrounds, information literacy takes precedence, with media literacy acting as an appendage. Those more in tune with the media landscape tend to focus on that aspect of the literacy spectrum. Ideally, those who have worked in media and have been involved in academia and are familiar with the latter's structures, tend to better straddle those two cultures through their comprehension of what exists and what needs to be done, provided, they, too, keep up with the fast changing technologies and priorities. The book's authors shed light on this promising landscape with the hope that their enterprising work will provide the building blocks on which to erect a solid, yet flexible, structure. 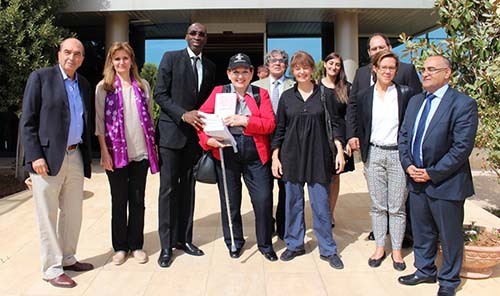 They group scholars and journalists from Lebanon, Jordan, Palestine, Iraq, Oman, Egypt, Morocco, Algeria, Sweden (working in Tunisia), and, international organization experts representing the United Nations Alliance of Civilizations and the United Nations Educational, Scientific and Cultural Organization. They shed light on different national, local and individual efforts to create more awareness, show the existing shortcomings, and expand the circle of stakeholders involved in MIL.